Works as powerful energy enhancer. Helps increase metabolism. Gives you strength all day. Helps maintain healthy cholesterol levels. 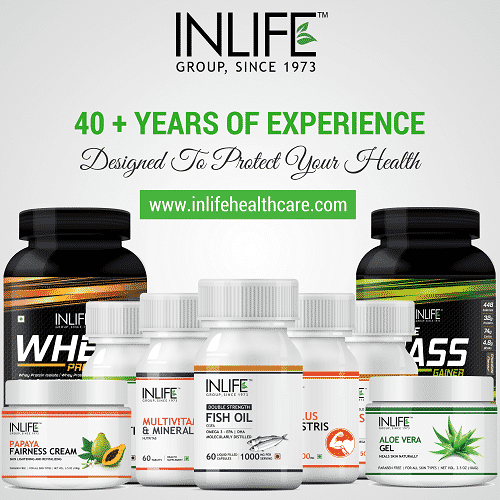 Natural safe & effective product. 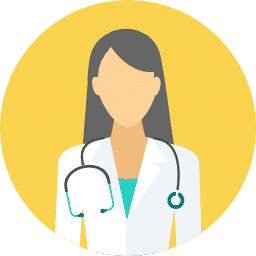 Long days, late nights, bad diet, there are a whole host of factors that can contribute to feeling tired, slow and generally not quite yourself. More often than not, a long night’s sleep and a good cup of tea can do wonders. However, sometimes we are all in need of a little something more to help us to fully recharge our batteries and put a bit more spring into our step. So, in the hope that we might be able to put some spark back into our sluggish mornings, by few energy boosting products all week. Few medications are overlooked preventives manage for energy boosting in your body which provides a powerful weapon in the fight against tiredness. Suggested Usage: Take 1 capsule twice daily before meals or suggested by healthcare professional. Gokshura is also called as Tribulus extract, otherwise called Puncture Vine, is a blossoming plant that may advance well being and upgrade the general usefulness of your body. 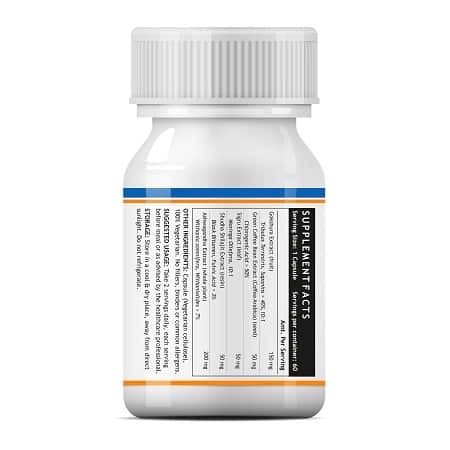 Tribulus Terrestris generally promotes increased muscle mass and gives strength, energy by building all the tissues besides combating muscle shrinkage in the elderly and accelerating energy metabolism in young people. Tribulus Terrestris is highly famous among athletes as it significantly improves the endurance levels and counters fatigue and lack of energy. Green Coffee beans are really the seeds of the espresso plant. They are called beans since their shape is fundamentally the same as real beans. Espresso is made by picking espresso beans when they are ready and either letting the beans fermentor by giving the beans a chance to dry in the sun. Be that as it may, new uses have been found for espresso beans because of the expanding prevalence of weight reduction and vitality supplements. 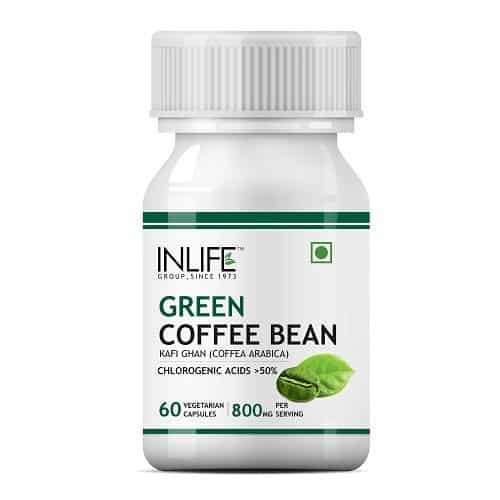 Green coffee bean extract can help you lose weight and actually this gives more energy by changing the way your digestive system absorbs nutrients from the foods you eat. In the end, green coffee beans are an amazing source of energy and can even help you lose some weight. Green coffee bean extract really helps to enhance your energy levels so you can be more active on a day to day basis. 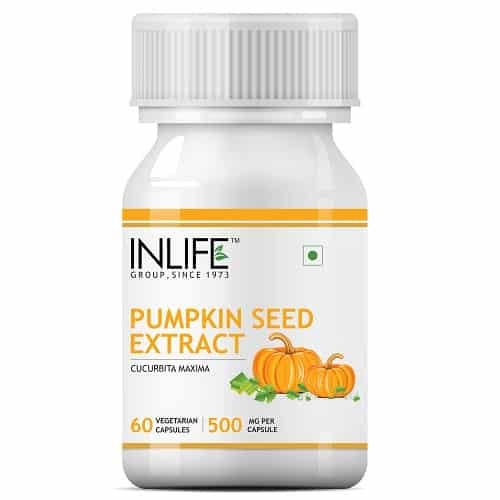 It works as a mild sedative which helps boost your serotinine hormone which is a feel good factor hormone. Moringa is produced using actually dried moringa. It has a delightful spinach green flavor. Many studies have been done about moringa’s potential as an anti-cancer agent. Moringa leaves have been shown to have useful properties in the fight against both breast and colon cancer cells and research is ongoing. Moringa is a natural energy stimulant it can provide strength to the body, it needs to go through the day or be able to survive strenuous activities. In fact a diet filled with moringa is perfect for aging individuals as it would help them get back the energy they used to have when they are younger. Unlike other energy stimulants that provides instant and temporary relief, the benefits of moringa in providing energy is long–lasting as it balances the hormone system and calms the nervous system resulting to a normal blood pressure and overall good health. Moringa leaf is best known as an excellent source of nutrition and natural energy booster. This energy boost herb is not based on sugar, and so it is sustained. Moringa is also soothing. It helps lower blood pressure and is a sleep aid. Shilajit might be one of the world’s most one of a kind substances. It is shaped by the pressure of natural material between layers of shake more than hundreds or thousands of years. Amid the late spring months, this biomass truly oozes out of profound crevices in the stones of the Himalayas. 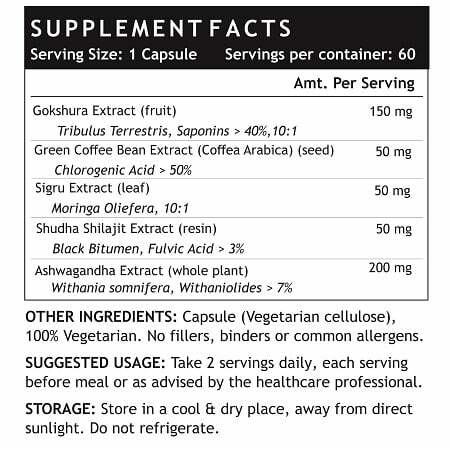 Shilajit is also one of the natural energy boosters. The herb works well to enhance the production of the body’s primary source of fuel, adenosine triphosphate. 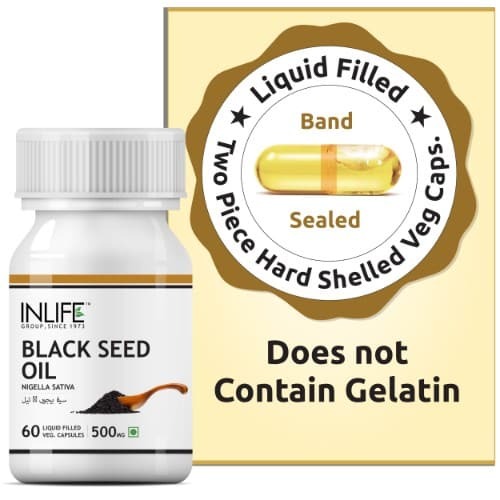 It is also believed to assist in facilitating brain function, strengthening of bones, supporting kidney function, strengthening the immunity system and alleviating pain. 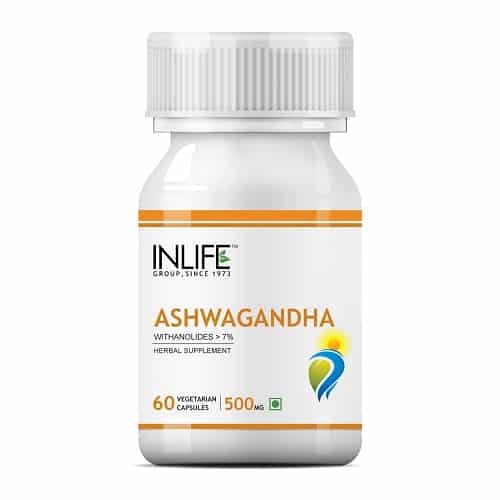 Ashwagandha is a standout amongst the most intense herbs in Ayurvedic medication. Otherwise tabbed Indian Ginseng, Ashwagandha (Withania Somnifera) offers various advantages to both the soul and the psyche. Truth be told, that is the thing that helped it win its name – which in Sanskrit signifies “possess a scent reminiscent of a steed” – as it is wonted to requite essentialness and the quality of a stallion to the client. Intake of ashwagandha energy boost capsules can contribute to lean muscle mass in athletes and bodybuilders. People also take ashwagandha to boost energy, and some scientific evidence supports this use. Ashwagandha has been found to increase the myocardial energy substrate. It will restore energy to the body lost from disease. 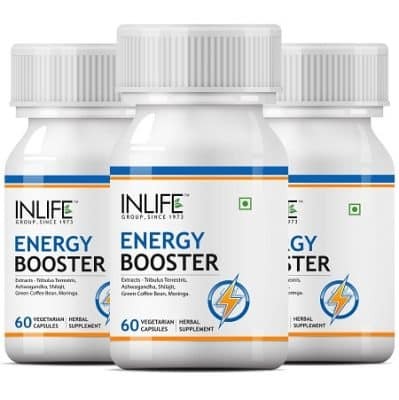 INLIFE Energy boost capsules will definitely help you get your life back. You will be able to enjoy many of the benefits. 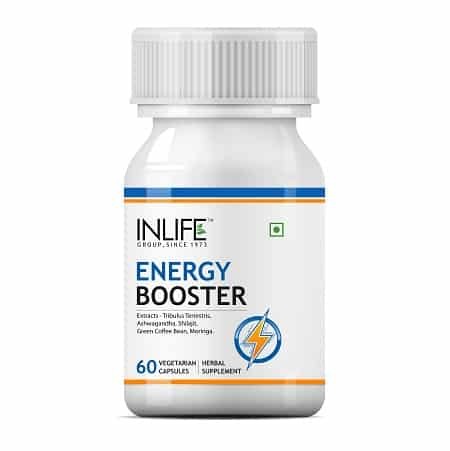 It will help you keep active throughtout the day and also you can perform your daily activities without any issues.It will help you provide proper sleep and helps improve your brain health and gives you a healthy lifestyle. I take them as they work well for reducing stress. I was giving it to my wife for fatigue and has seen lot improvement . I usually take it before going to the gym and it greatly improved my stamina in performing my workout routines. 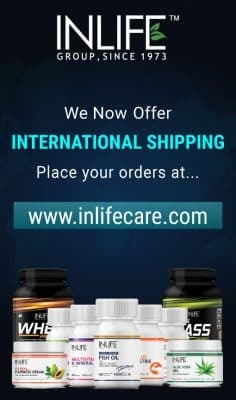 My energy has increased and my mood is relaxed and happy i will definitely be buying over and over and will recommend this particular brand to all members in the family. 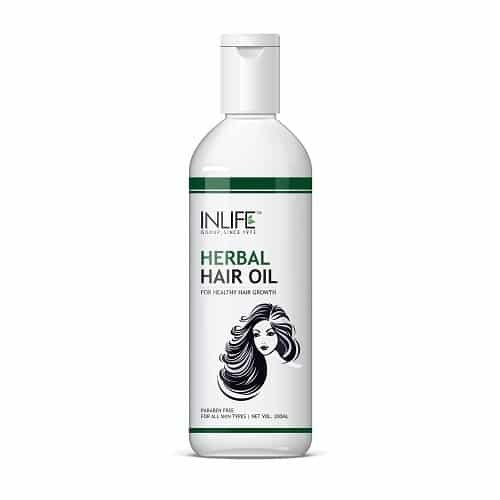 It has given me energy, vitality and a calm that enables me to handle challenges with ease. When I drink such as in the morning where tiredness remains, it will really work soon! 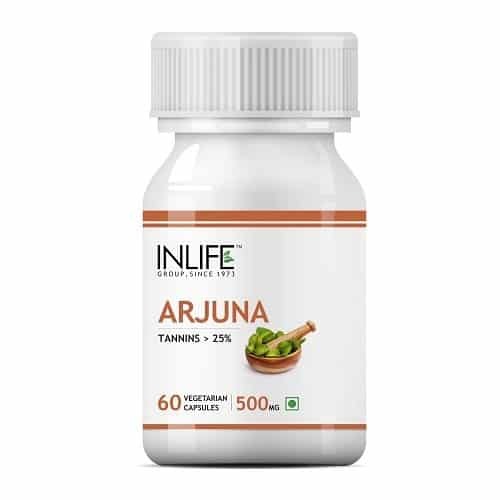 It is an effective supplement and act as an powerful immunity booster which helped me a lot. Very good product!! Great energy and focus! Highly recommend! Works as described. Needed something to give me a boost as tend to feel Sluggish at times. Taste isn’t bad. So far so good. I use this before I workout and feel much more alert in the morning. Its a great product! Give it a shot for sure.So far as good! Amazing energy boosting product. Good quality energy that lasts throughout the day. It gives me a great boost of energy and focus to help me get through the day. Feels better after consuming this product as i easily fell ill earlier. I am very much happy with the results . It makes me full of energy and not so tired during the day. Great product at great price, it is useful to me. Great product at great price , It is useful to me. 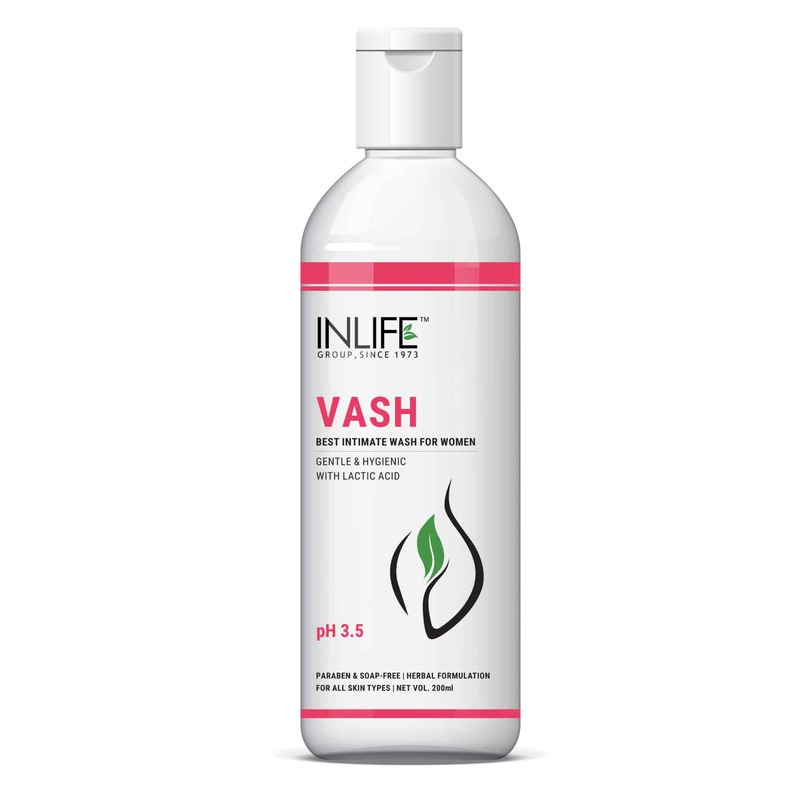 It really makes a difference, after 2 weeks I decided to order another repurchase, because its a really good product. I just have started a week ago and now feel better! I am so impressed with the results . It makes me full of energy and not so tired during the day. Will repurchase definitely.. 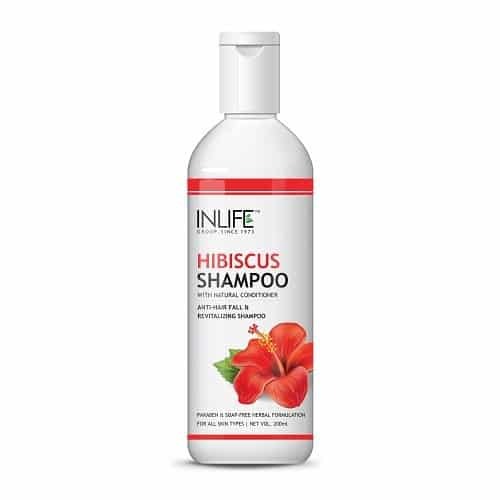 It really makes a difference, after 2 weeks I decided to order another-repurchase, because its a really good product. It seem to be doing their job finding difference in mood and stress. I have been using this for about a month, and I definitely notice a difference in my energy and other levels. It is a best natural supplements to increase energy . It helped me improvement mood and energy. Good product .. it gives result fast.